يشكل فندق Quest Savoy بموقعه الممتاز في قلب Hobart CBD نقطة انطلاق ممتازة لاستكشاف هوبارت. لا يبعد الفندق كثيراً عن مركز المدينة، فهو يقع على بعد 0km منها. في حين يستغرق الطريق منها إلى المطار حوالي 25 دقيقة. يوفر الفندق بفضل موقعة الجيد وصولاً سهلاً إلى أهم معالم المدينة.
. إن حسن الضيافة والخدمات الراقية التي تعرف بها Quest Serviced Apartments تغني تجربتك في Quest Savoy. تتضمن الميزات الرئيسية في هذا الفندق: مرافق مخصصة لذوي الاحتياجات الخاصة, صف السيارات, التوصيل من وإلى المطار, رعاية أطفال, غرفة عائلية. استمتع بوسائل الراحة الراقية في الغرف أثناء إقامتك هنا. بعض الغرف تتضمن مناشف, حوض الاسترخاء, مكيف هواء, تدفئة, مكتب لمساعدتك على استعادة طاقتك بعد يوم طويل. كما أن مجموعة الخدمات الواسعة الموجودة في الفندق لضمان راحتك تترك لك الكثير من الخيارات لقضاء وقتك أثناء فترة إقامتك. مهما كانت أسبابك لزيارة هوبارت، فإن Quest Savoy هو الخيار الأفضل لإقامة مثيرة وممتعة. لا يتضمن المبنى الرئيسي The Budget Studio وBudget 1 Bedroom Apartment. ولكنهما يقعان على الطريق، ولا يمكن الوصول إليهما إلا عبر السلالم فقط. quite loud as we were on the low floor. no a/c thus you have to sleep with the windows opened. if you are going to be a sleep in, won't recommend this place. else, location and price you pay are not too shabby. Fabulous location for seeing Hobart. Parking an issue. No air conditioning in room. Staff not responsive to issues. Loved having an apartment, lots of space and quiet, apart from the Cathedral bells ringing on the hour, which was very quaint. Location suited us perfectly. 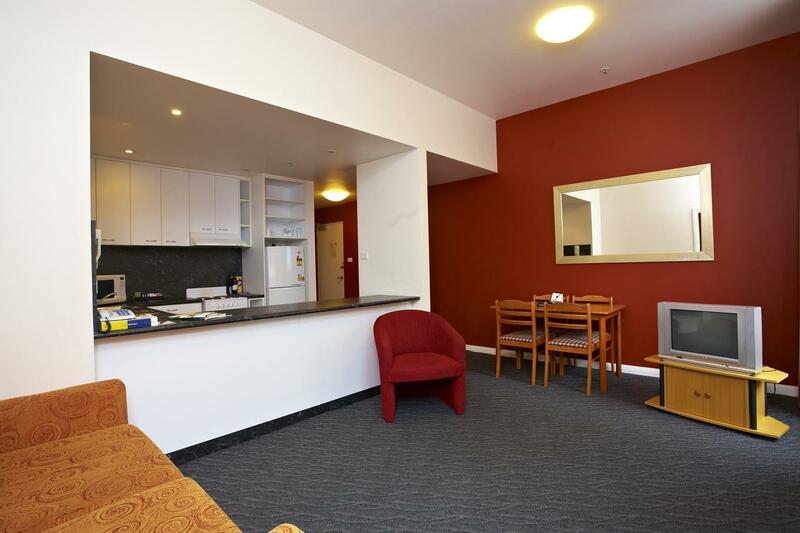 Location is great - very close to CBD shops and the waterfront. Parking off-site is $17.00 which is annoying although it is a 5 minute walk so not far. Trying to get into the "drop off" zone at the front is a nightmare due to the road is only for buses - park a block or 2 away and walk back. spacious and clean room with fully equipped kitchen. Laundry is outside the room. All you need is available. convenient place near pier. staff are helpful and nice. Good hotel, great location. Rooms were clean and big and the staff were very friendly. 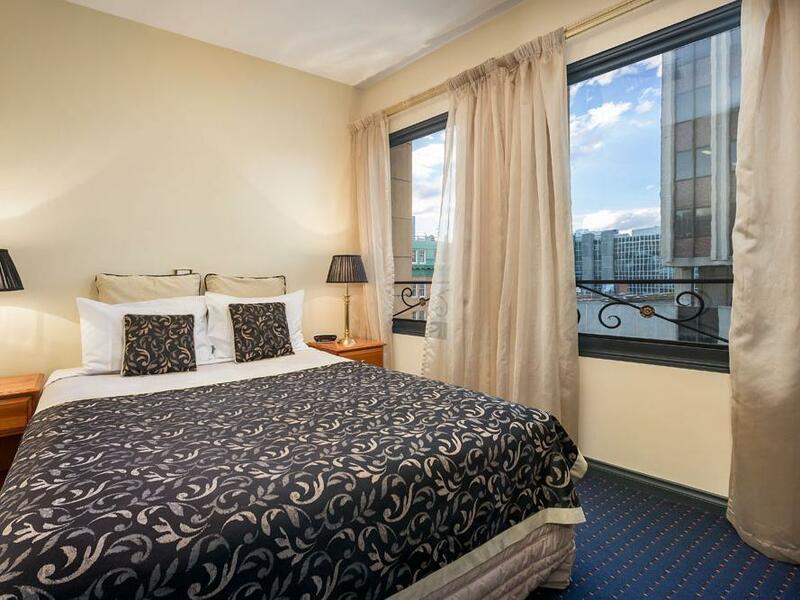 I would recommend to those looking for a central hotel location. Though just a bit pricey for the room the location and staff were great. The room was nice and clean. Restaurants around the block close early, so you have to go down to the waterfront, which is very nice anyway. 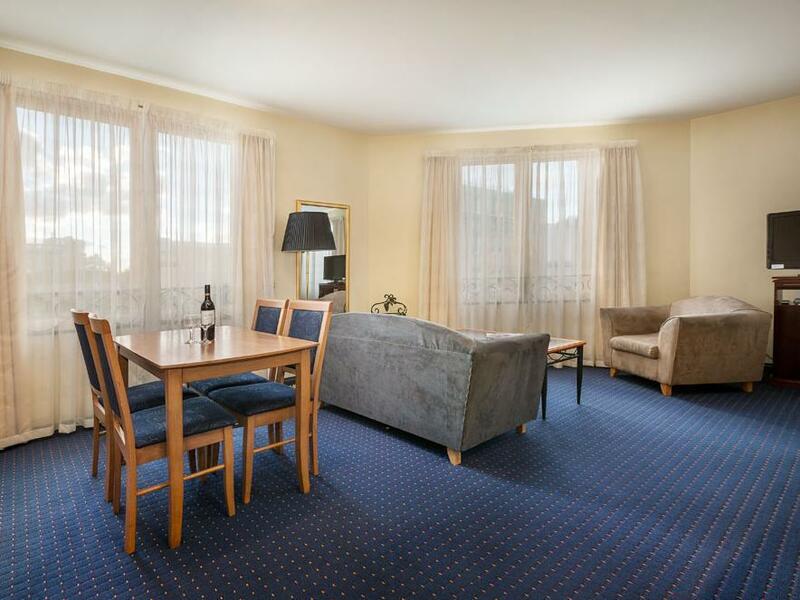 Great place to stay in Hobart. Near everything! From shops, groceries and even the Harbour and Salamanca market. I would stay here again if I am in Hobart. If you travel by car and wish to park at the hotel, good luck!! The car park is situated about 100 meters walk from the hotel and it will cost you $17 per day!! There is no housekeeping service on Sunday and there is no hotel lounge. 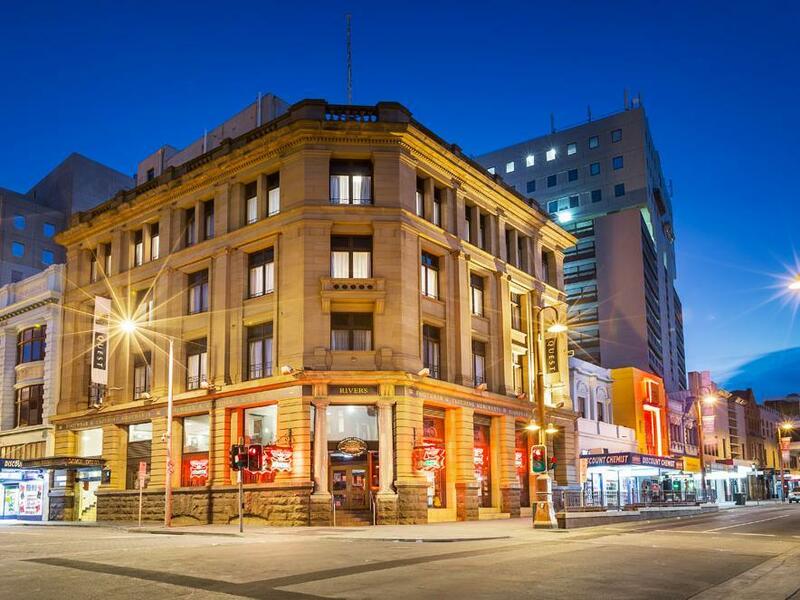 The only good things about the hotel is great location and it's close to Salamanca place, Wrest point casino, battery point, Tasman museum and art gallery. Comfortable stay with very pleasant and helpful staff. Not enjoyable. The blankets were thin, the iron didn't work, and the thermostat for the heating was broken. The room was lovely, however without a window that can see outside view. 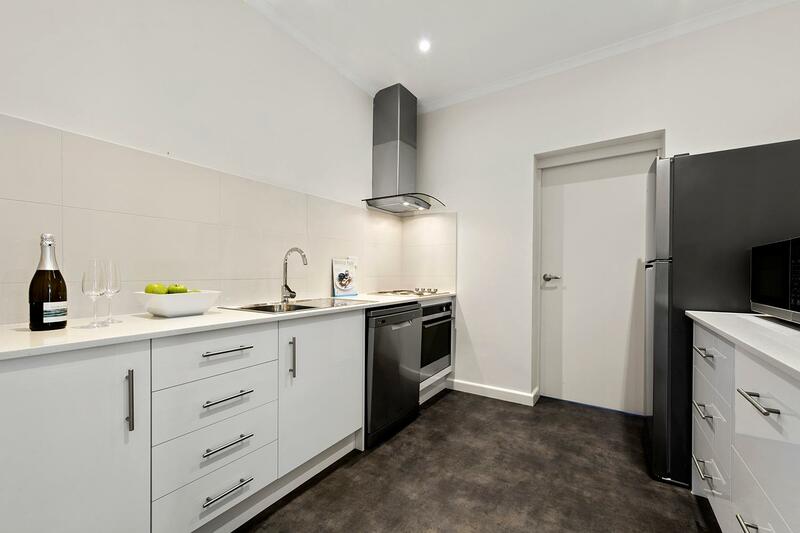 Location is superb, easy access and walk around the city. However, additional charges incurred for parking for those who are driving and parking is a little far for those with lots of luggages.